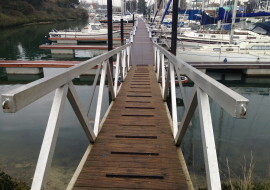 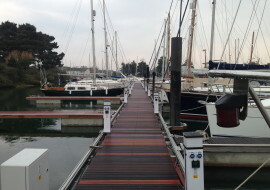 Holbrook Electrical have carried out extensive Marina refurbishment work both in closed marinas and areas where access for the public has to be maintained. 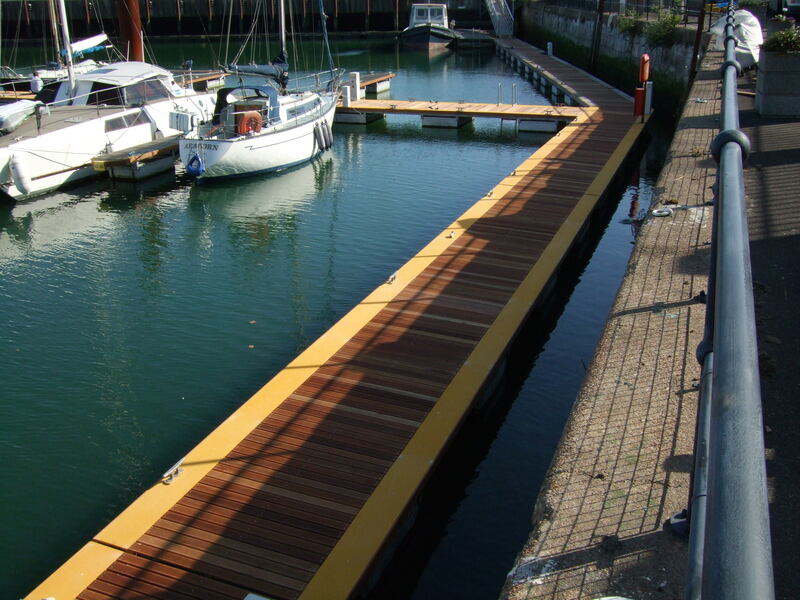 Holbrook Electrical can supply and install a wide range of materials hardwood decking, composite materials and GRP. 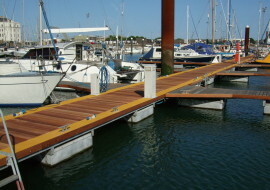 As a company we can replace decking and service covers, fendering and tray work. 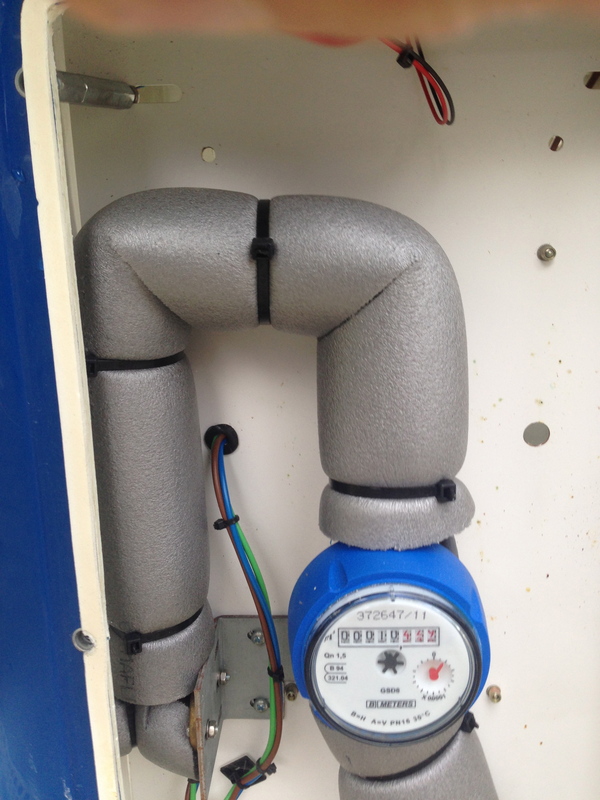 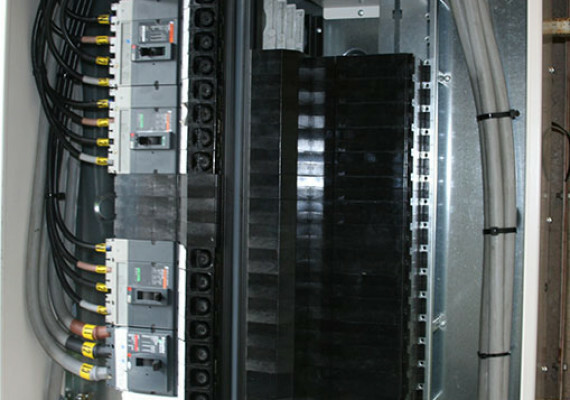 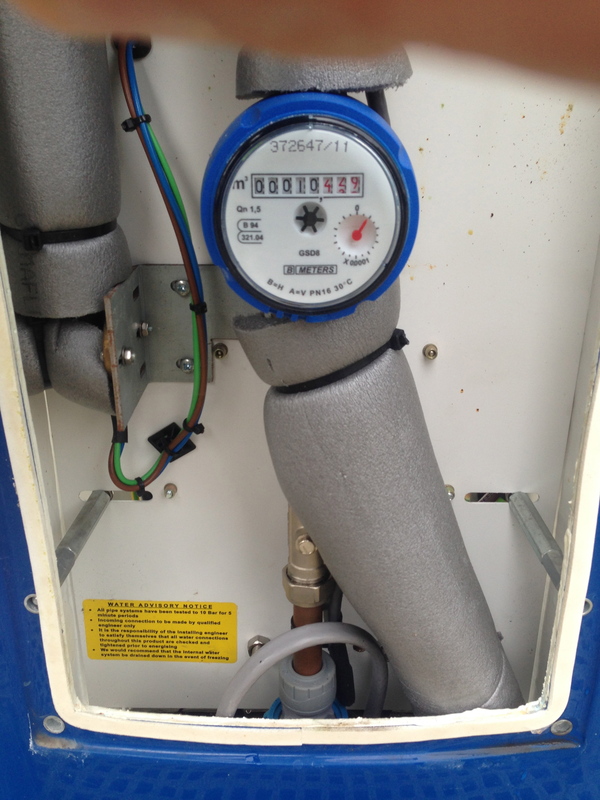 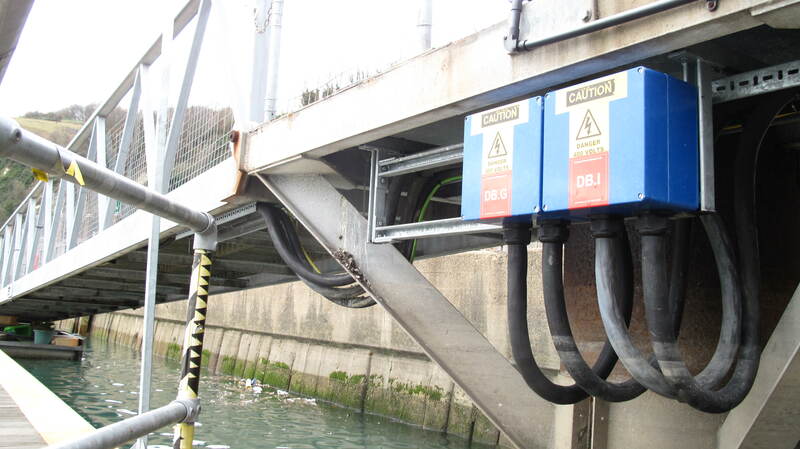 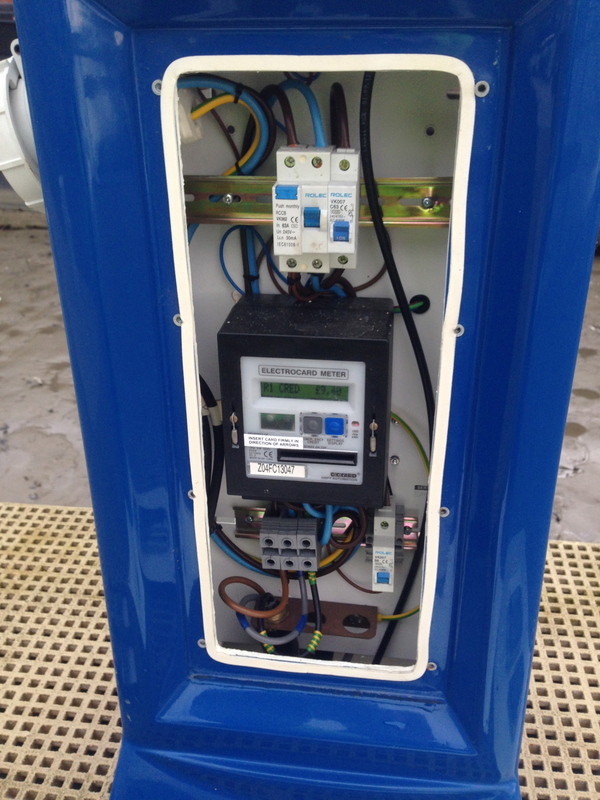 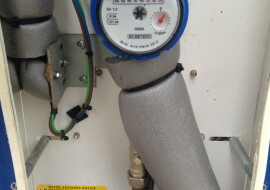 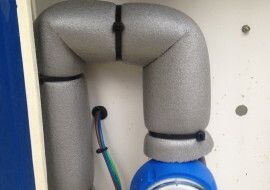 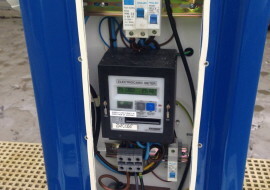 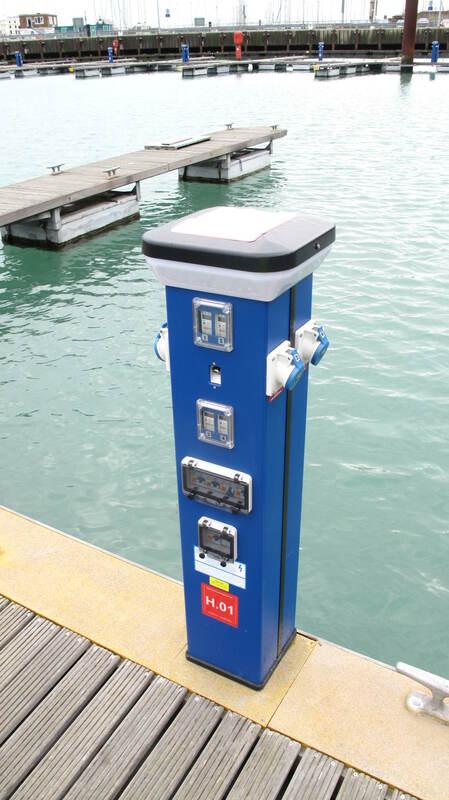 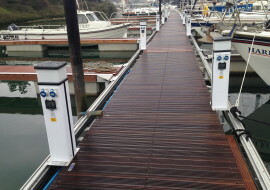 We also design and install full electrical and water distribution systems for marinas and can supply a range of Marina equipment. 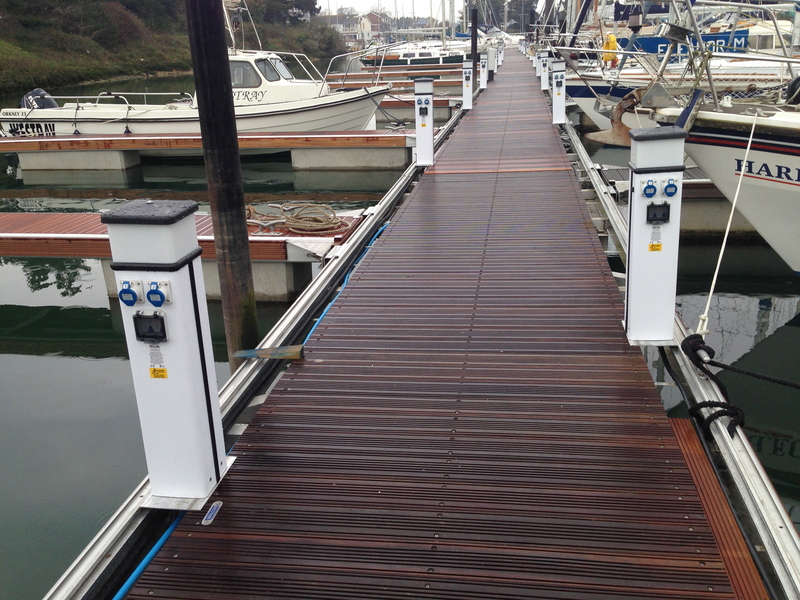 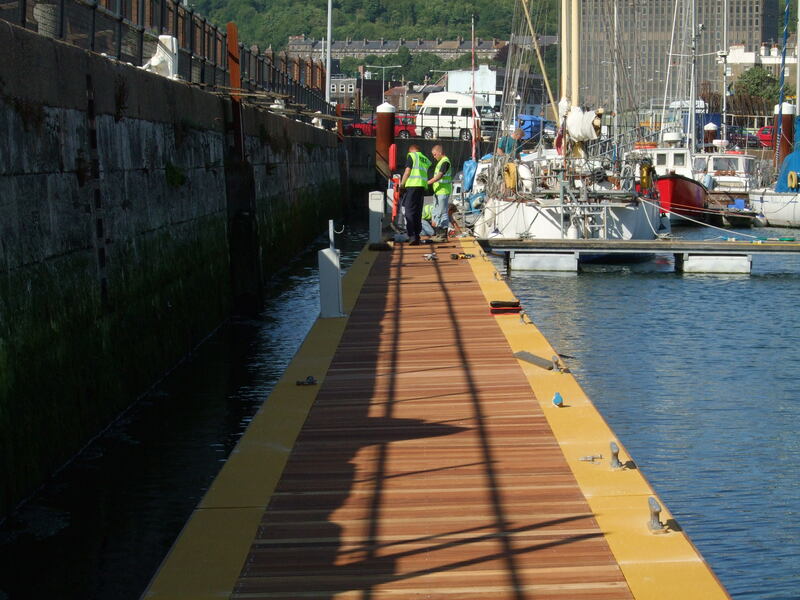 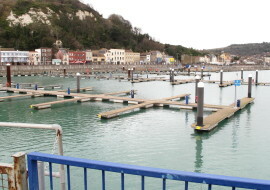 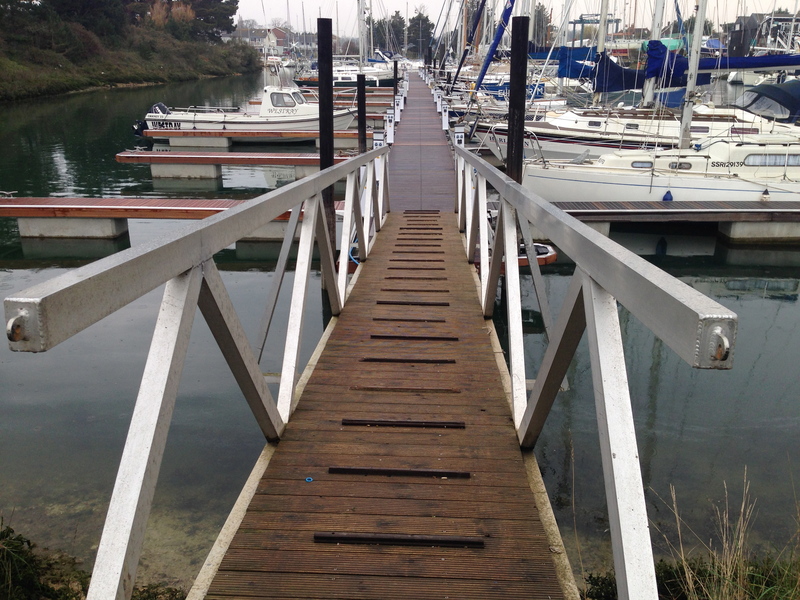 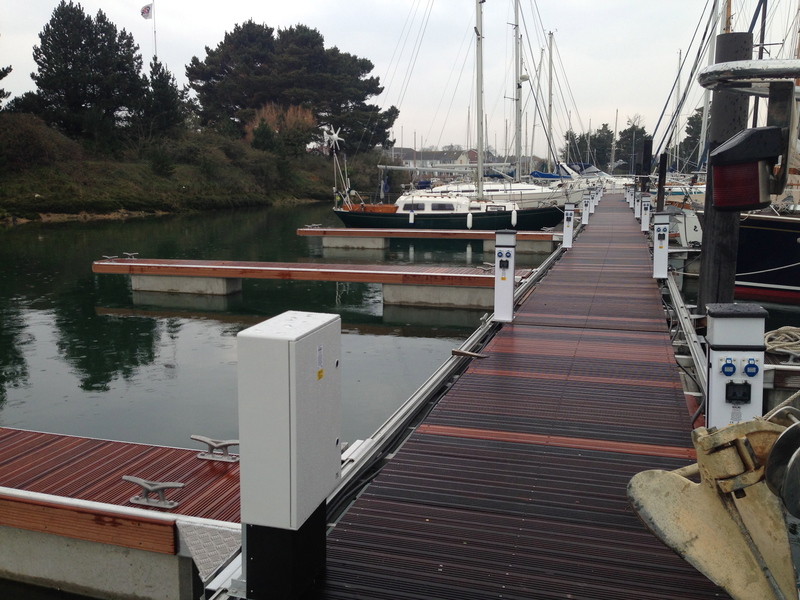 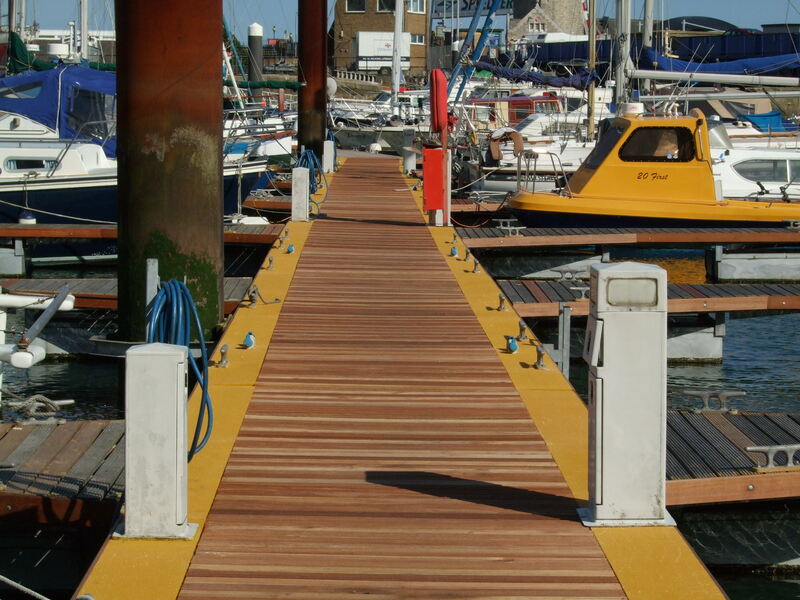 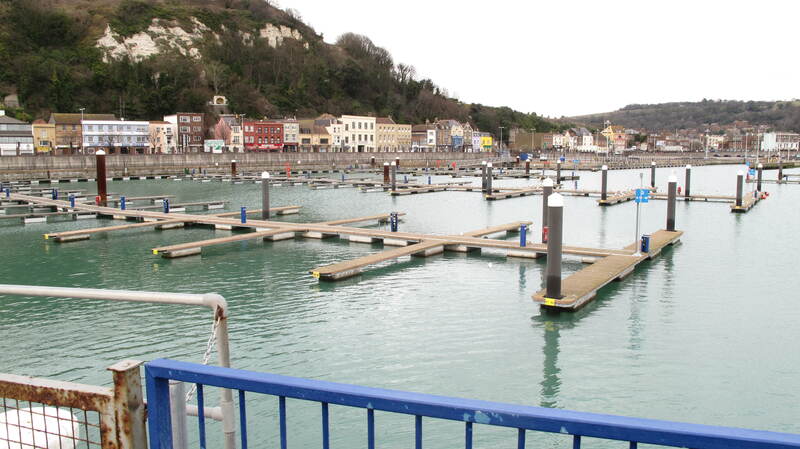 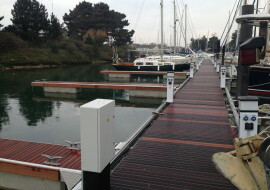 installation of GRP decking to pontoons at Ramsgate Marinas. 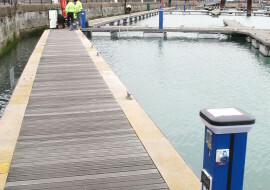 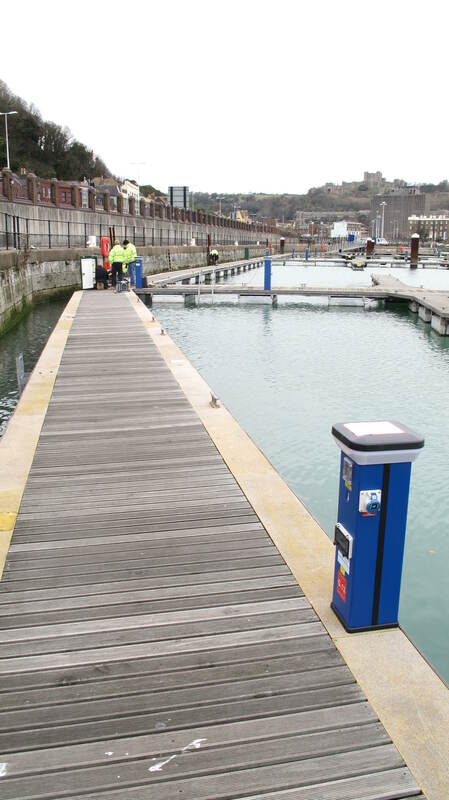 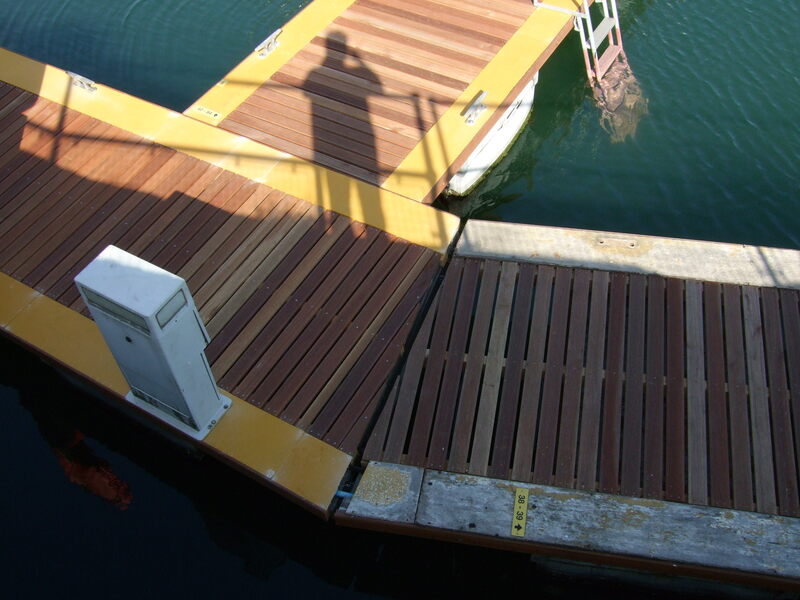 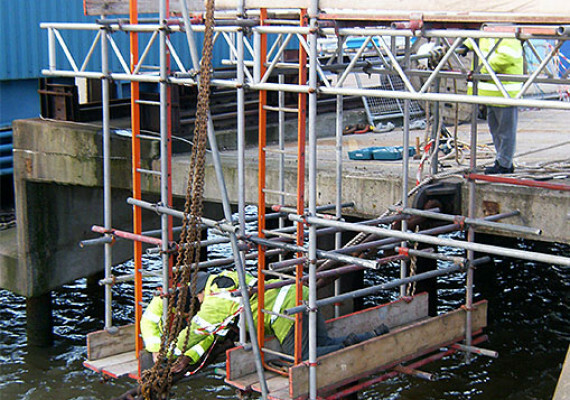 major refurbishment of 27 pontoons in DHB Wellington Dock . 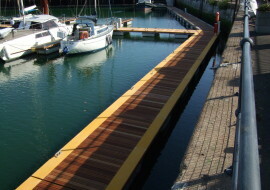 installation of GRP decking to all brows at Westminster Pier and Embankment Pier for London River Services. 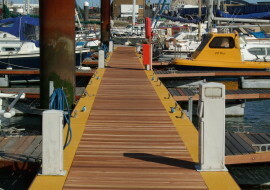 fabrication and installation of pier office platform and GRP decking at Greenwich Pier for London River Services. 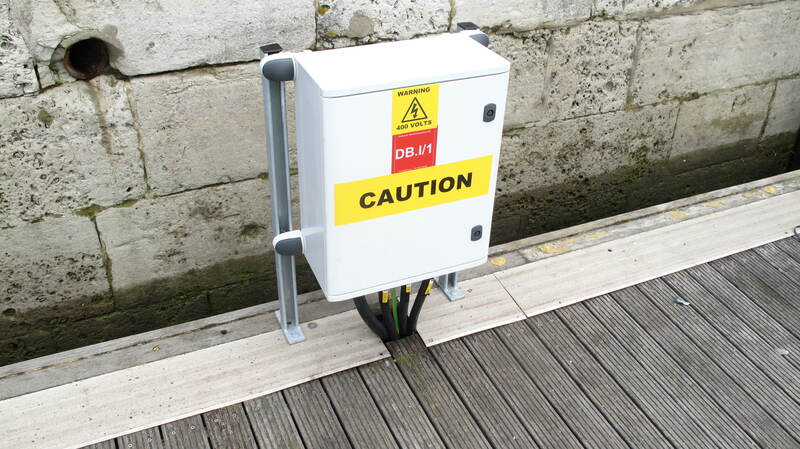 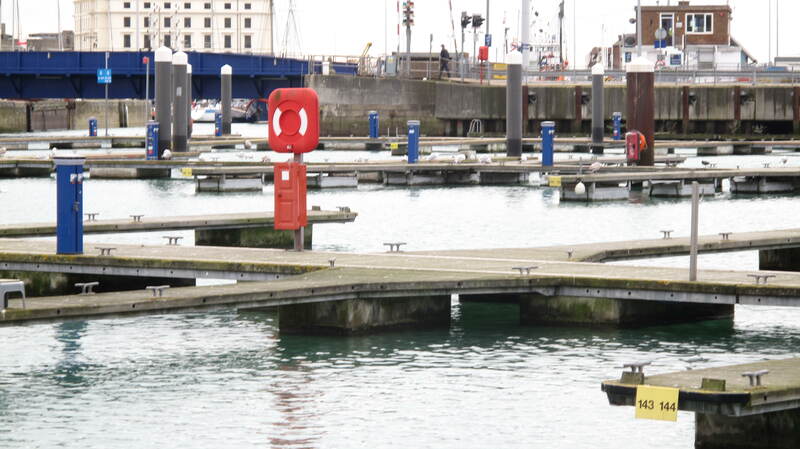 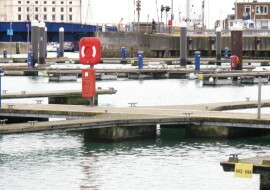 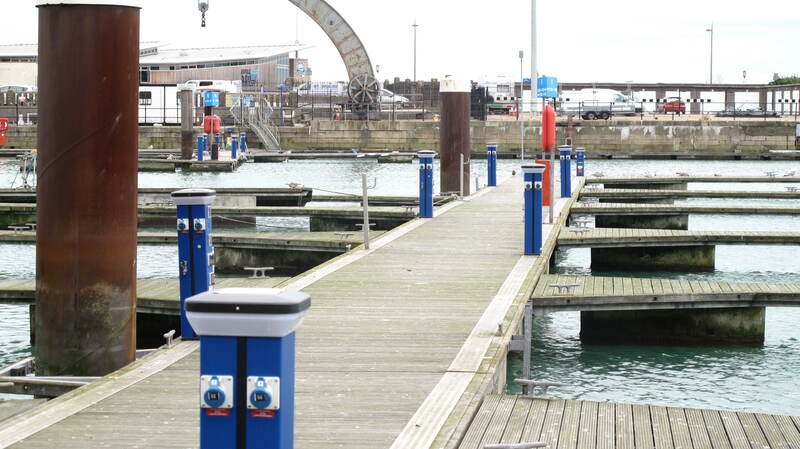 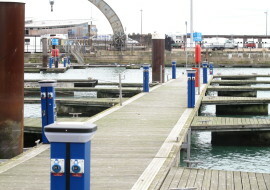 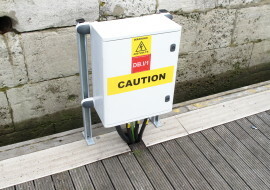 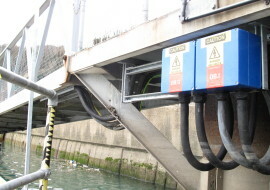 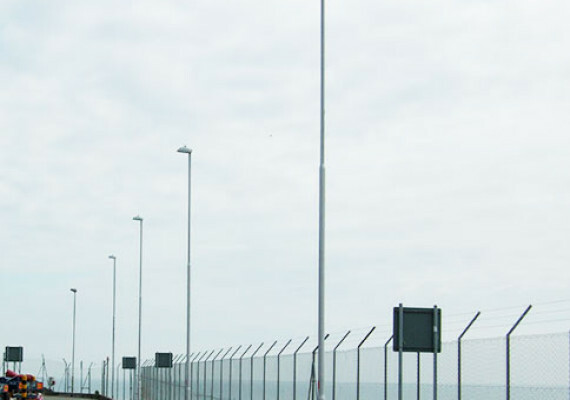 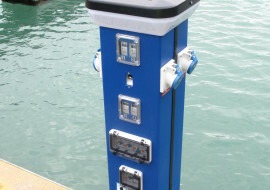 Installation of HRE design heavy duty power pedestals in Ramsgate for fishing Boat and Wind Farm support vessels. 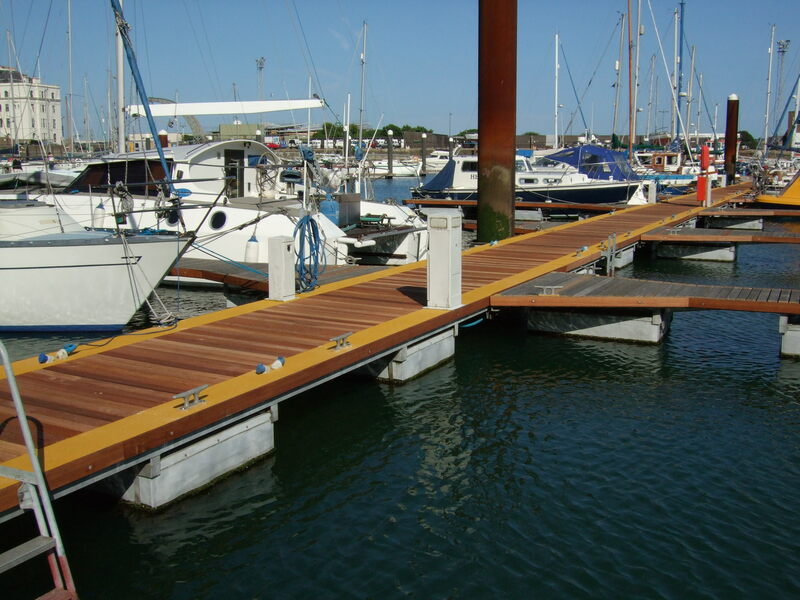 The above is a small selection of the wide range of Marina refurbishment works we offer if you require any information or would like us to consult on a possible project please contact us. 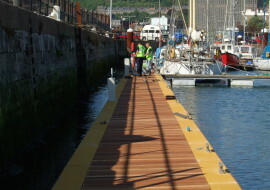 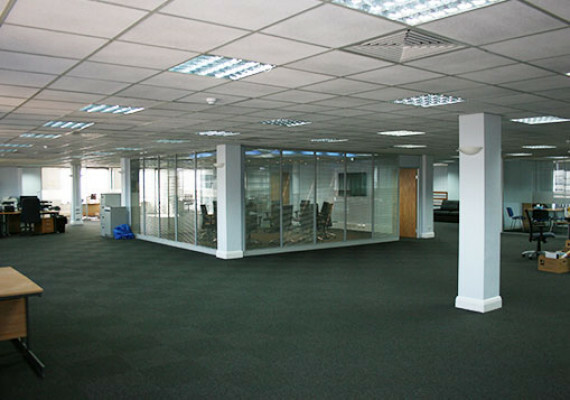 Please see some pictures of our work below.